Spike Thompson and the organizers –Amanda, Melanie, and Alex – of the Ibiza Rendezvous for sponsoring our entry fee for the regatta. Debbie Owen and the Lawhill Maritime Centre team in South Africa for the ‘home-side’ arrangements. Members of the General Botha Old Boys Bursary Fund for providing important items and travel necessities for the boys prior to their departure. Trev Simpson for driving the boys to their preparatory Passport and Visa appointments in Cape Town, and for ferrying them to and from the airport for their trip. David Just for keeping the Twitter-sphere alive from South Africa with Tweets during the event. Accommodation Palma for assisting with shore-side accommodation during the Regatta. Ticket Travel Agency of Portals Nous in Mallorca for travel assistance and for providing Travel Insurance for the boys. Annette Forsythe for providing Spending Money for Bradley and Ronaldo during the event. Alan Muir from Mallorca Clothing Company for our great event Polo Shirts and embroidery. Colin Squire of Yachting Matters for attending from the UK and covering the event, for great and humorous company, and fantastic photos and a story for the magazine in the pipeline. Antonio Cruz Puerto for his energetic arrangements as fore-deck boss, and for all of his other tireless organizational assistance. Imprenta Nueva Balear for our great Marine Inspirations calling cards. Anne Wade for keeping a hungry crew very well fed and watered. Marina Ibiza and Ibiza Local Government for hosting a great event. Terry Clark for building and managing our website and for his great assistance during the event both aboard and ashore. Bill Symmonds for making the special effort to fly out from South Africa to support our event and for his fine company in Ibiza. and to all of the organizers, yacht-crews and owners, and other supporters, for providing a most wonderful experience for Bradley and Ronaldo – made possible by the warm support and generosity of these friends of Marine Inspirations. Archie Leeu, who hails from Port Elizabeth, South Africa, and Tamsanqa Hoza from Welkom, South Africa, say that the trip was “a wonderful opportunity to learn valuable and practical skills which will equip us for our career as future sea-farers.” They also intended sharing their gained knowledge and skills with their peers at Lawhill Centre open their return from Spain. 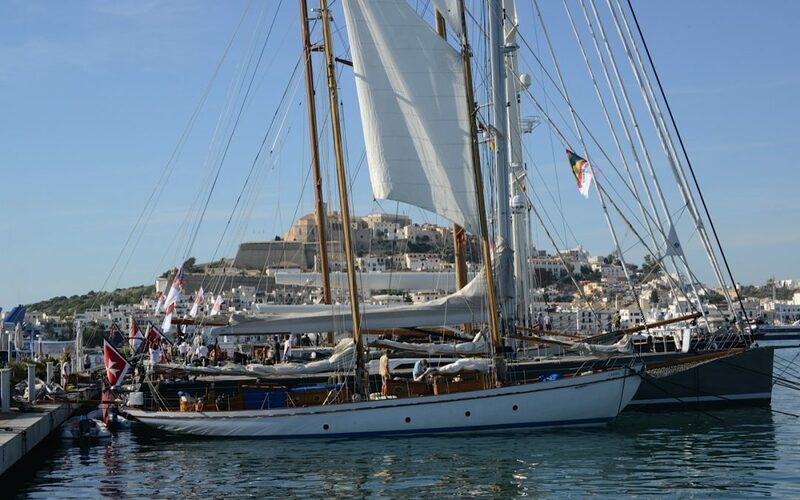 This particular ‘Marine Inspirations’ initiative was supported by a number of highly respected captains, yacht-owners, ship-managers, and associated individuals in the maritime industry, including the organizers of the ‘Ibiza Rendezvous Regatta’. 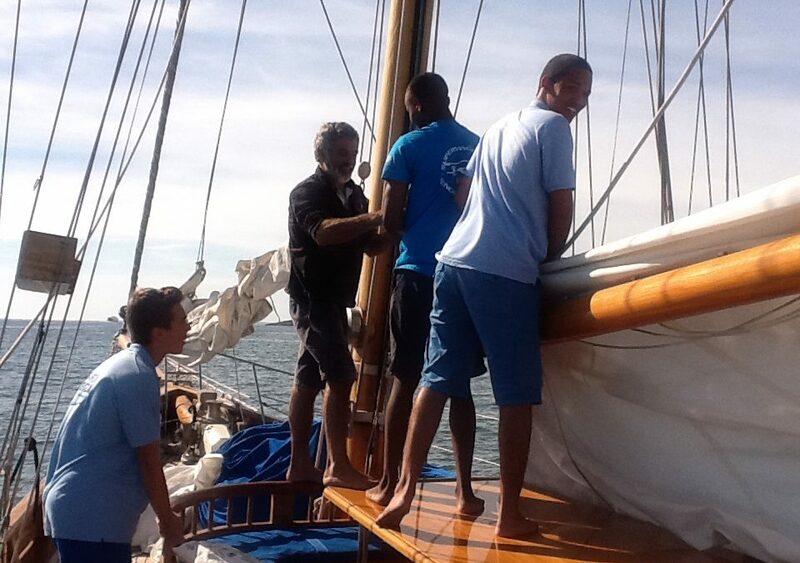 For example, one of the students’ flights for the June trip was sponsored by the shipyard ‘Astilleros de Mallorca’, while the other flight-ticket was paid for from a generous grant donated to ‘Marine Inspirations’ by the ‘TK Spirit Youth Sailing Fund’ in the USA. The TK Foundation is the mentoring arm of the ‘Teekay Shipping Corporation’ – under Chairmanship of South African-born, Sean Day. The foundation operates under the stewardship of the Teekay founder’s daughter, Susan Karlshoej, who has recognized the great value and benefits arising from the ‘Marine Inspirations’ initiatives. THE DIARY OF THAMI AND ARCHIE - WEDNESDAY 24TH JUNE. Thami and Archie departed from Palma Airport at 07:05 – which meant leaving the ‘Aloha-J of Cariba’ at 05:15…! Once again flying through Barcelona and Istanbul to Johannesburg – and then onward to Port Elizabeth and Welkom for the school holidays at their respective homes. 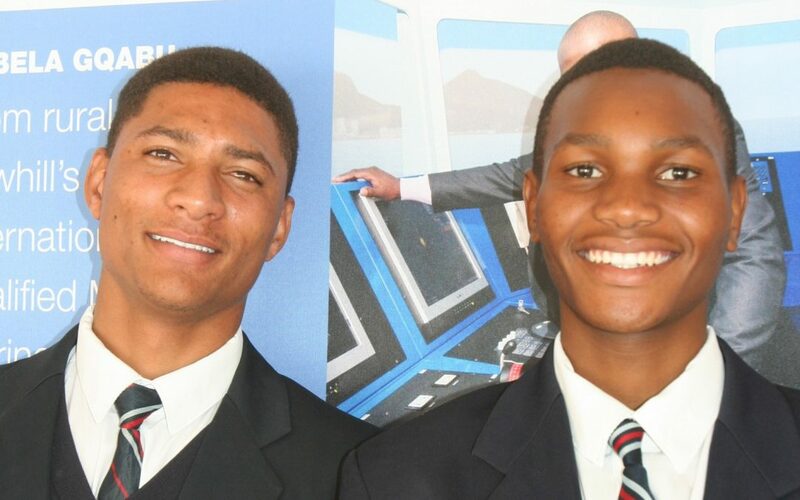 It was the end of a very successful and informative visit that has enhanced Thami’s and Archie’s outlook upon the maritime world, and was an experience which they will certainly never forget. Not only that, this initiative, and other ‘Marine Inspirations’ initiatives, have inspired many other people in our maritime industry to offer help and education-opportunity so that more students can benefit in a similar way in the future. 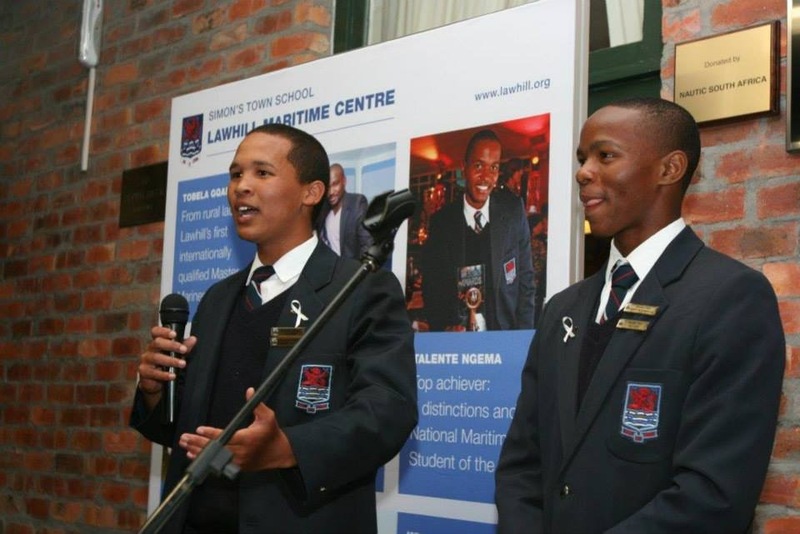 A lot of credit must go both to these two very impressive young men, as well as the staff at the Lawhill Maritime Centre in Simonstown, South Africa, that mentors and guides them.